ADL Embedded Solutions offers a wide range of cutting-edge and long-life embedded boards and solutions that fit many demanding applications. A variety of engineering services aid the customer in customizing or ruggedizing our standard product offerings to meet their specific requirements or application. Extended temperature screening is offered for all ADL Embedded Solutions CPU boards. 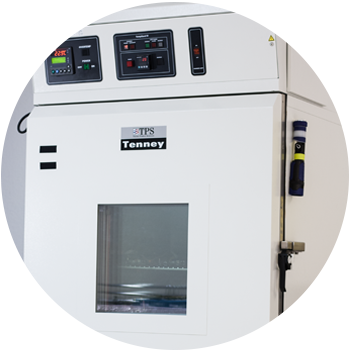 We use software-controlled temperature chambers to custom test hardware and software, ensuring our customers receive optimal performance from our extended temperature products. ADL Embedded Solutions specializes in rugged extended temperature boards and systems for demanding military/defense and industrial applications. This requires that our CPU boards and products can survive extreme conditions of shock of vibration, temperature, and humidity. Conformal Coating: Primarily used for high humidity environments using acrylic coatings, but sometimes also done using more durable silicone-based epoxies for higher abrasion and wear resistance in high shock and vibration environments. Bonding: Used for extreme shock and vibration environments for adhering high-mass components to the PCB to prevent component damage or loss during high g-force events. BGA Underfill: The latest Intel processors and chipsets offer unseen levels of processing and graphics performance as well as new high-performance I/O capabilities using chip geometries as small as 10-14nm very high pin counts. Higher pin counts result is very small, and very fragile BGA solder balls requiring extra protection for shock, vibration, and thermal stress. Underfill epoxies serve to encapsulate fragile BGA solder balls to provide rugged protection, and also provide an extra cooling paths from chip to the printed circuit board. 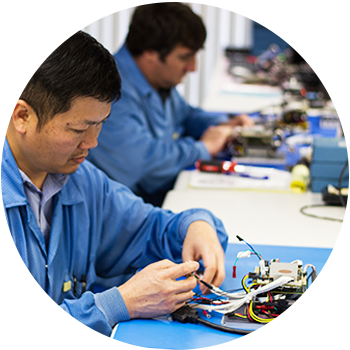 Any customer system or board sub-assembly can be fully assembled prior to shipment including O/S installation, peripheral card installation and setup, board modifications, custom cabling, and customer specific testing requirements. Our ISO 9001 facility and a well-defined system integration process guarantee that all customer requirements are well documented and captured, and that quality is ensured through the use of prototype phase, production pilot run(s), QA checkpoints, technician training, and document control. 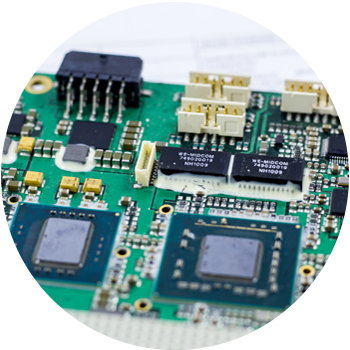 Often, integration of small form factor systems results in a tight fit between the various boards and components requiring the need to remove or modify CPU connectors (e.g. from vertical to 90 degree) to solve space and fit constraints. Many of these modifications can be made on an order-specific basis by ADL Embedded Solutions technicians working to IPC610 Class III standards. For long-term projects, customer-specific BOMs can be created to ensure product consistency over the life of the product.